I’ve given some DIY gifts lately, but I think these Christmas presents are by far my favorite and the best DIY gifts I’ve ever done. The first two were for our two nieces to share, and I am more than impressed by what Dan and I were able to create. Project #1: Food for the play kitchen[[posterous-content:pid___0]]Dan’s parents got the girls a play kitchen for Christmas, so play food was on their Christmas lists. I looked around for some kits, but didn’t see anything I liked. So, we decided to take on this project ourselves. We didn’t have patterns or anything. Instead we just tried to emulate what we saw and used as our examples. Our older niece is really interested in learning about baby Jesus, especially the nativity story. Last year, she got a Little People Nativity playset for Christmas, and she played with it all the time. We thought she’d enjoy these puppets and could use them whenever she was learning about the story. 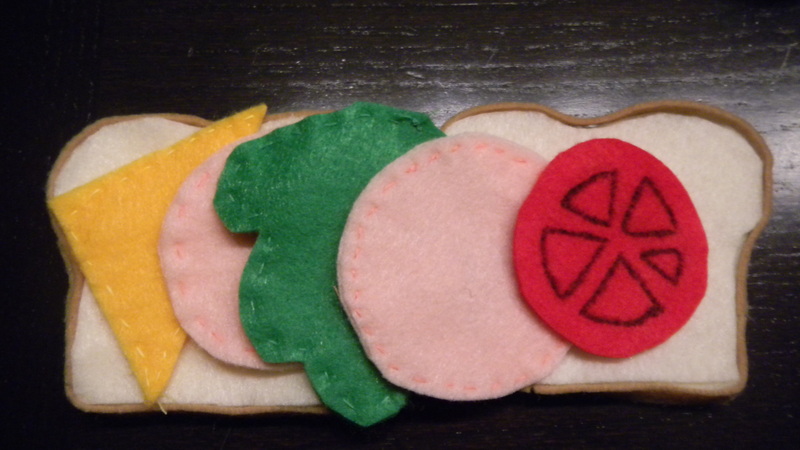 Again, I turned to Pinterest for ideas. I couldn’t find any patterns, so we had to freehand everything. 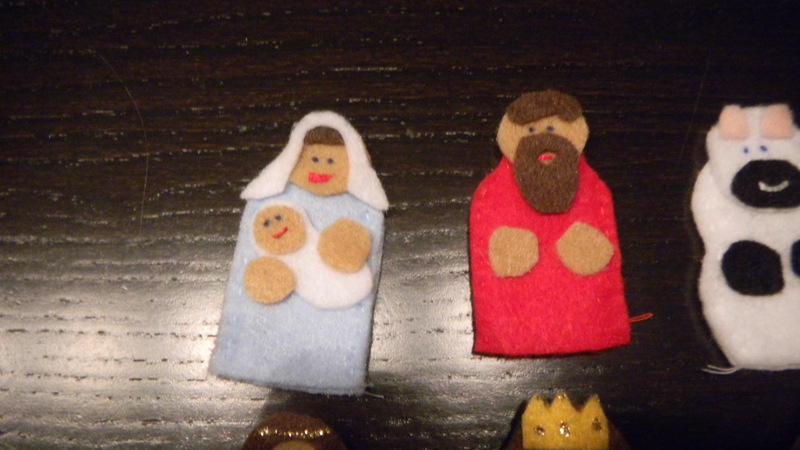 We started by deciding which Nativity scene participants we would be making. 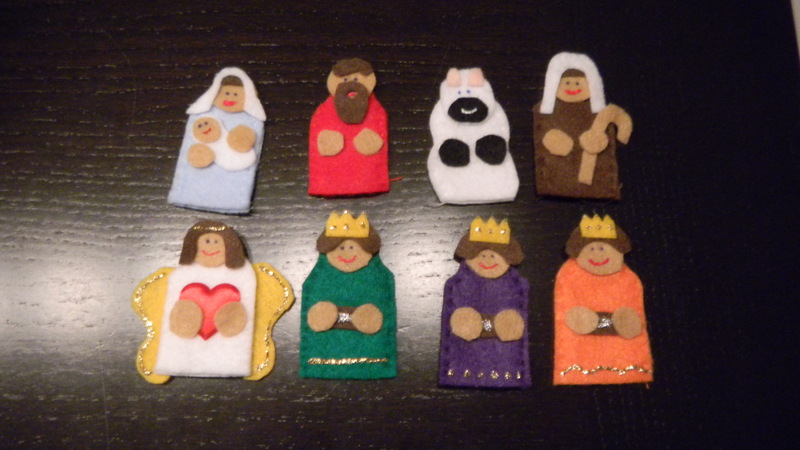 We ended up choosing Mary (with Jesus), Joseph, the three wise men, a shepherd, an angel, and a sheep. 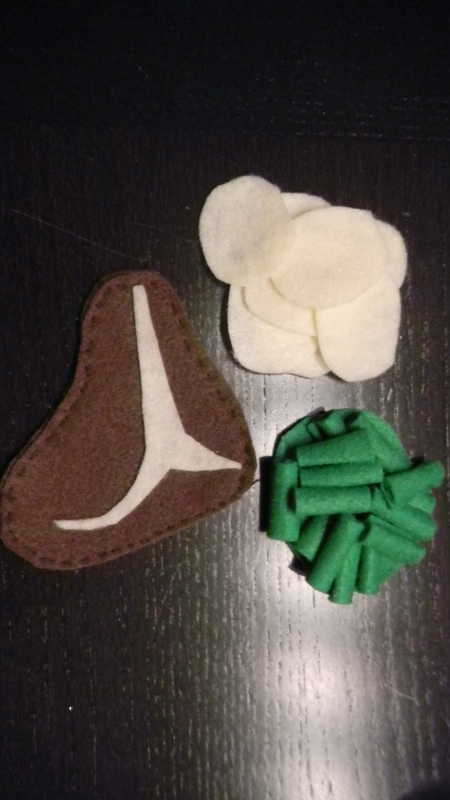 We used the same basic shape for each body, using different colored felt for each puppet. 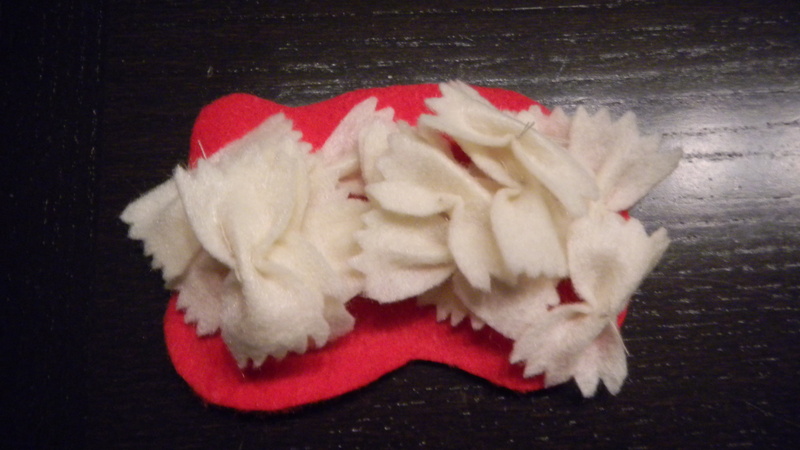 Once I sewed them together, I used a pen and some red fabric paint to draw in facial features. 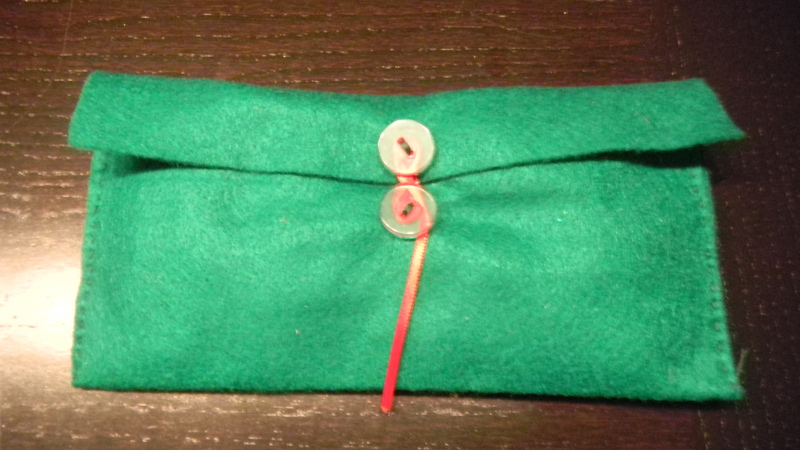 To hold all of the puppets together when not being played with, I sewed a basic envelope together where they can be stored. Dan raises money for men’s cancers in the month of November by growing a mustache. I thought it would be fun to give a gift that acknowledges his efforts. I started with a simple Dollar Store mug and used a Pebeo Porcelaine paint marker to draw directly onto the mug. 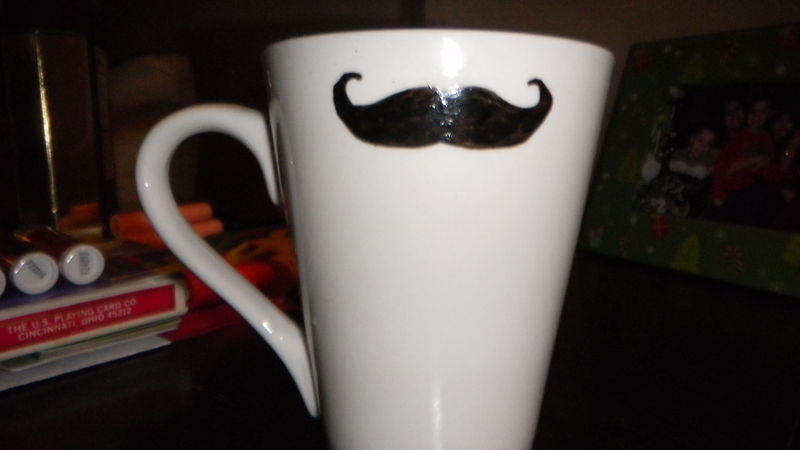 I used a stencil taped to the mug to draw the outer lines of the mustache, then painted in the rest of it. You have to cure it in the oven, but the paint should be microwave and dishwasher safe. Did you give any DIY presents this year? Love it! The girls are enjoying playing with their play food. Kayla actually tries to eat it! We need to figure something out with the green beans though because Kayla already tore them apart 😦 Any suggestions? Maybe needle and thread? Thanks! Glad you and the girls like the gifts!Hmmmm…Dan was in charge of the green beans. I think he just used glue. Next time I see you guys, hand over the green beans and we’ll find a way to make them sturdier. 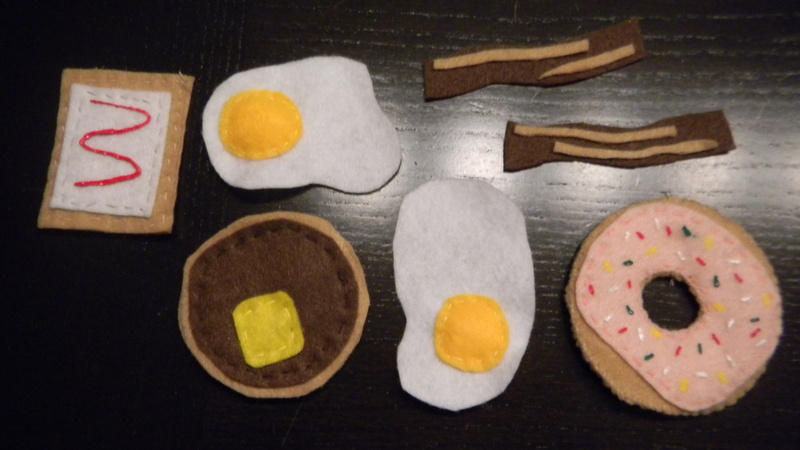 I think you’re on track with the needle and thread idea. 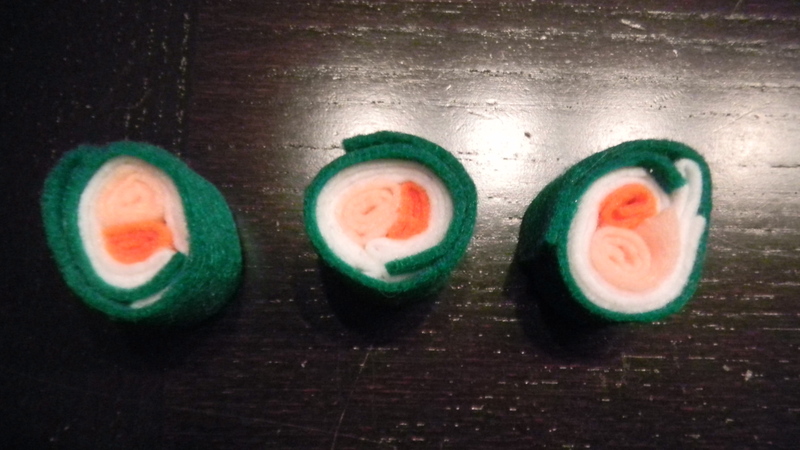 So glad the girls are enjoying the felt food! I thought it was super cute, and I’m glad it was a hit! I’ll have to see how well the steak is cooked at Thorne Steakhouse next time we visit!